- SmartComm is offered on Software as a Service (SaaS) model. So, you don't need any IT infrastructure to use it. - SMS broadcast can be done from Web portal or from Mobile phones by the authorized users. 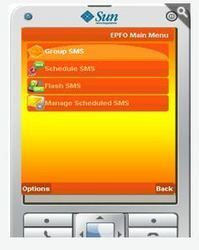 - A very user friendly, easy to use interface is provided to do the user/SMS management functions. We are presenting excellent quality assortment of Intercom System.